We ditched our right field bleacher seats to sit atop the first come first serve Blue Monster in left field. 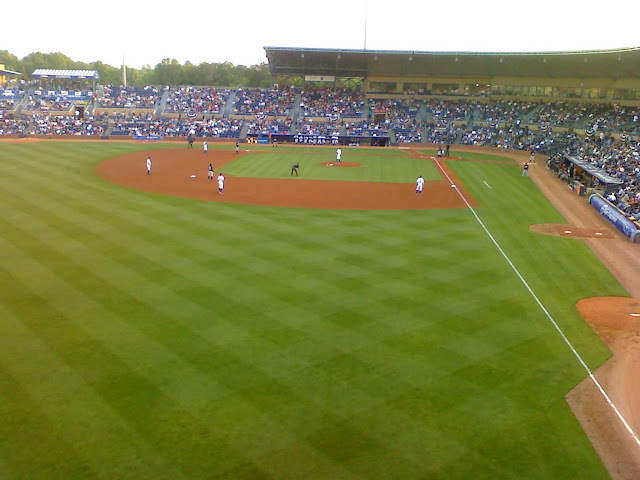 Got to enjoy a few beers 30 feet above the left fielder. Awesome. 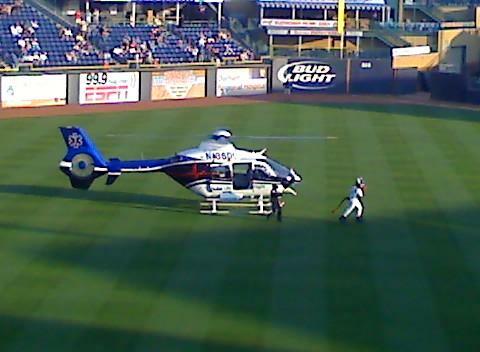 The mascot, Wool E. Bull, landed on the field in a helicopter to bring the AAA Trophy to home plate. 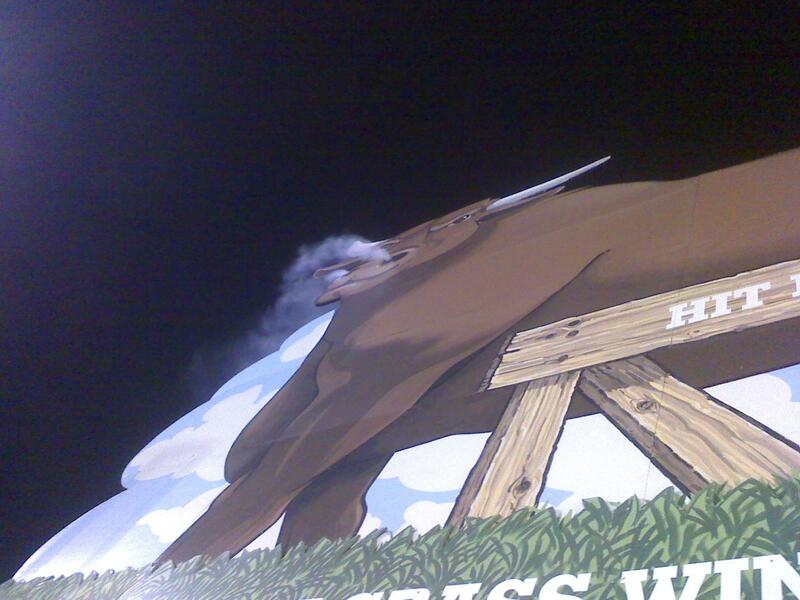 The famous smoking bull was right above our heads. The eyes gleam red and the nose blows smoke during a Bulls HR. My son enjoying his favorite sport, BAAAAAAASE-BALL!! My daughter disagreeing with the 1st Base Ump on the check-swing strike. I can't wait to get back out to the ballpark, especially now that my son knows Take Me Out to the Ballgame.